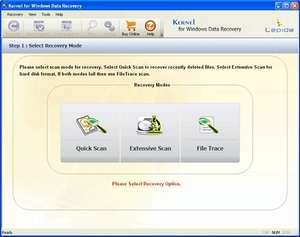 Kernel for Windows is a data recovery program that helps you recover any kind of data including videos, documents, images, audio files, archives from FAT and NTFS disk partitions. Kernel for Windows can recover files regardless of the reason why these files were lost in the first place: accidental deletion, system crashes, virus attacks, drive formatting, etc. Kernel for Windows is really easy-to-use. Its wizard-like interface can be used with ease even by complete beginners. Kernel for Windows 17.0 is a shareware program and can be used as a demo to try the software until the free trial period has ended. A full version of the program is available after the trial period ends. For security reasons, you should also check out the Kernel for Windows download at LO4D.com which includes virus and malware tests. Additional screenshots of this application download may be available, too. 4.5 out of 5 based on 16 ratings. Nucleus Kernel FAT- Data Recovery Software download been highly rated by our users.